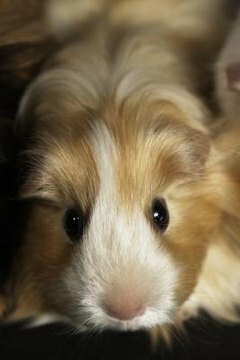 Most guinea pigs have four toes on each front foot and three toes on each hind foot. If your guinea pig has more, he has a condition known as polydactyly. Depending on the development of these toes, his polydactyly may be harmless, or it may require surgical repair for his safety and comfort. Polydactyly can take a variety of forms. Most commonly it presents as an extra fourth toe on each hind foot, although extra toes on the front feet and multiple sets of extra toes are possible as well. These extra digits may be functional, complete with nerves and muscles, or they may be vestigial, useless to the guinea pig and only connected by a thin flap of skin. In either case, the claws usually grow at the same rate as those on other toes, and require the same level of care when you're trimming. If your pig has extra toes, it is important to examine him closely and determine whether the extra digits cause him any difficulty. Fully developed toes are rarely a problem, and a guinea pig can often adapt to the difference in his foot structure without difficulty. If the toes are vestigial, however, they may grow in such a way that they create difficulty for your pig when walking. If it seems your pig is having trouble managing his extra toes, injury is possible. The chief concern for a polydactyl pig is that he may injure himself, either by catching a toe on the cage bars or by stepping on an errant digit while walking. An altered gait caused by a misdirected toe could also lead to other foot problems, such as the development of hard spurs on foot pads or infections from uneven wear. A veterinary examination is a must for any polydactyl guinea pig, and your vet can determine whether the extra toes present a true safety hazard and whether he should remove them surgically. In most cases the procedure is very simple and your pig will make a quick recovery. Whether or not your guinea pig keeps his extra toes, it is important to consider that polydactyly is a genetic condition. Some bloodlines of guinea pigs are more prone to the condition, but it can also occur due to inbreeding as recessive genes express themselves. Poor breeding may also predispose your pig to other illnesses, so you should keep a close eye on the health of any polydactyl guinea pig in order to spot potential medical issues as early as possible.